What Home Style Is Right for Me? Duplex homes are actually two homes in one. They’re side-by-side living spaces that have their own entrances to give a sense of privacy. Most duplexes range in size from around 1,200 square feet to 1,600 square feet. This is comparable in size to many more traditional detached homes. 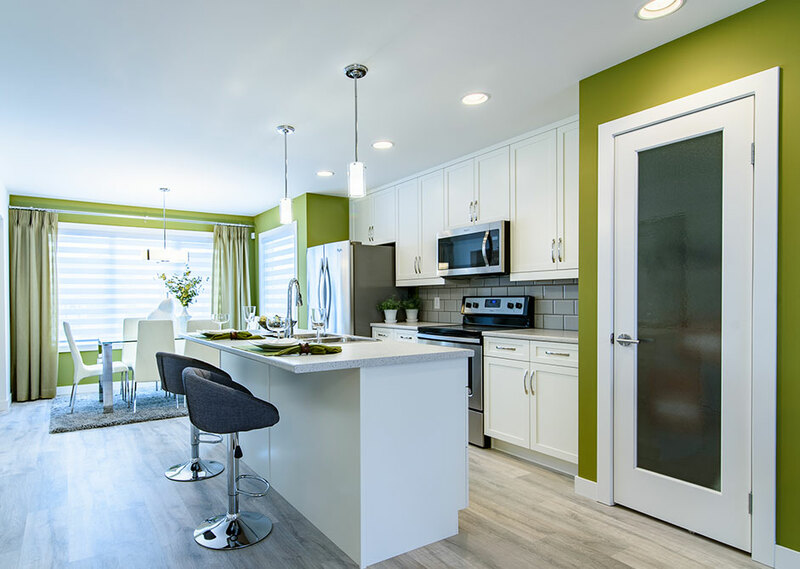 You’ll find modern layouts, including an open-concept living area with a kitchen, dining nook, and living room, and the bedrooms - usually three of them - will be upstairs. Because they share some of the exterior building costs with the attached home, duplex homes tend to be more affordable than other styles. They appeal to people looking for a starter home and to people looking to downsize. Many people purchase these homes without knowing the family living on the other side, but duplex homes are also a good choice for multigenerational families that want to live close to one another. The two generations each buy one side of the home. Bungalows are single-storey homes. The word might call to mind images of small cottage homes, but modern bungalows certainly aren’t cramped but can feel like a large sprawling floor plan. You’ll enjoy a layout with an open floor plan and even an ensuite in the master bedroom. 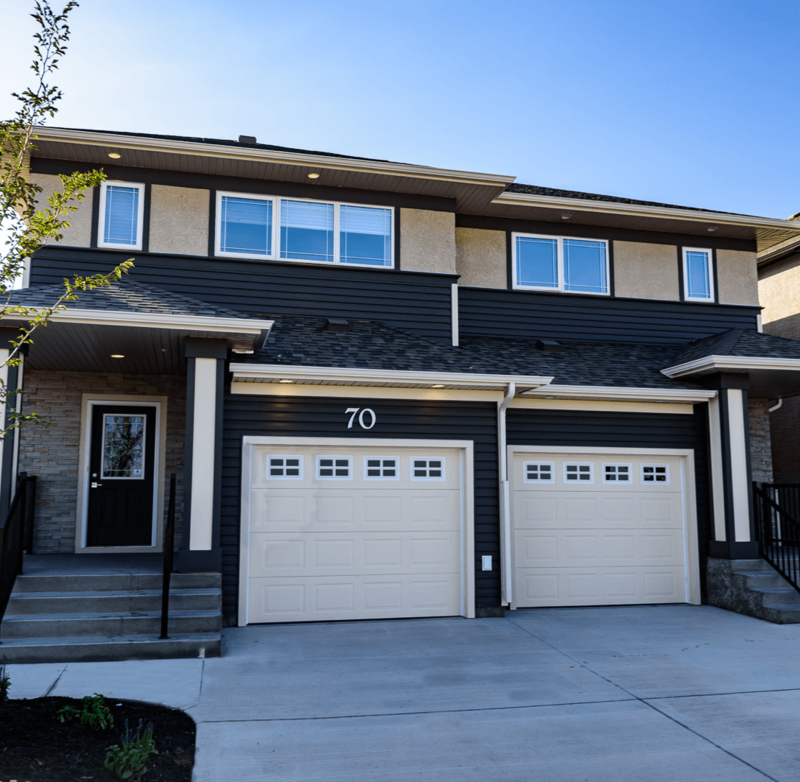 Our bungalow homes come with two or three bedrooms, and they have the option of finishing the basement to include another bedroom, a full bathroom, and a rec room. This is often a more affordable way to get the space you need in a home. Retired couples often look at bungalows as the ideal home. Even if they don’t have mobility issues, they feel confident they’ll be able to age in place as the years go on. However, the affordable price tag and lack of stairs also appeals to families with young children or anyone who just doesn't like stairs. The cabover style is sort of in between a single-storey and two-storey home. There is a second floor, but it’s usually just over the garage instead of taking up the full area. In many cases, there are some bedrooms on the main floor with the master suite being the only room on the second floor. The benefit of this style is being able to have a more grandiose look to the main living area. Without a second floor, you’re able to have things like a vaulted ceiling throughout much of the main floor. Cabover homes are usually just a style preference rather than a home that appeals to people at a particular stage of life. However, some people do like them especially because they have bedrooms on the main floor. The parents can enjoy the master suite when they buy the home, but if mobility becomes a problem in the later years, they can move downstairs and enjoy single-storey living. Also, the separation from the master can add added privacy that some people prefer. Two-storey homes are the traditional style of home you probably think of when you talk about buying a house. The living area is on the main floor of the home, and the family’s bedrooms are on the second floor. Larger homes tend to have more features, like bonus rooms or lofts but really depends on the overall size of the home. There are two primary types of two-storey homes. Front-attached homes have a garage at the front of the home. People like this style for the convenience of being able to enter the home from the garage. 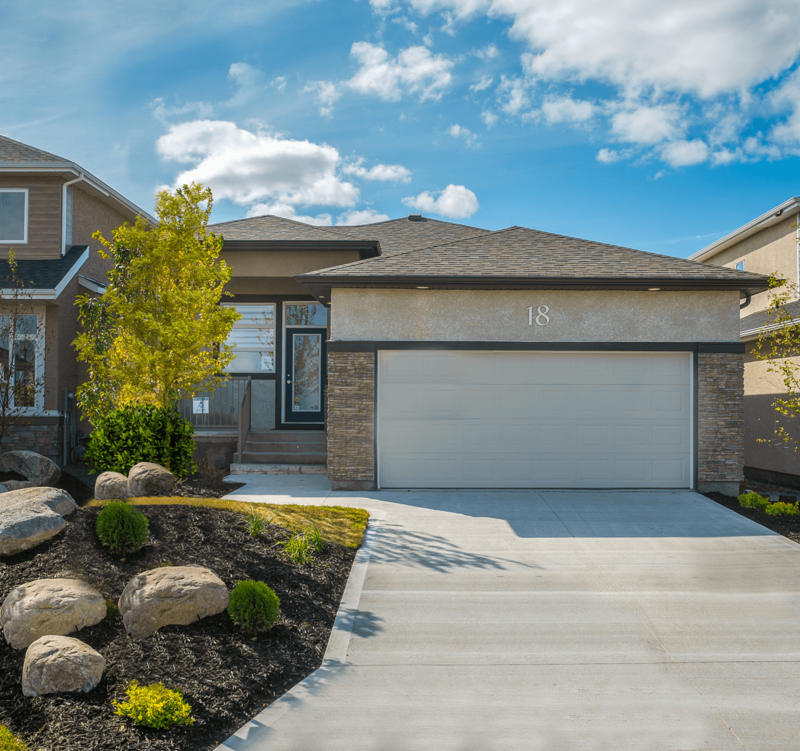 Laned homes have a detached garage or parking pad in their backyard area with rear lane access. People prefer this type of home for the quaint look of the exterior and can often be a slightly more affordable price point. Two-storey homes typically appeal to families with children of all ages. They offer separate spaces for the children along with larger gathering spaces. Finishing the basement to include an in-law suite is a good way for multigenerational families to live together. The right home for you is the one that meets your needs now and in the future. Remember you’ll want to live in your new home for many years to come. Think carefully about the space you’ll need over the years, then start looking at the different styles of homes - with so many great options to choose from, you're sure to find your dream home in no time!